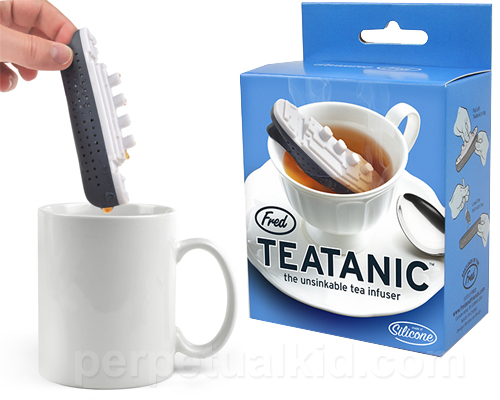 Teatanic infuser – tasteful or tasteless? A tea infuser in the shape of the Titanic? A friend pointed me toward this Teatanic tea infuser over at perpetual kid. 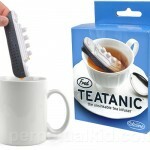 I guess if you’re a big fan of the Titanic and tea you have a must have tribute to both. Personally, I don’t quite understand the obsession with the Titanic (I have watched the movie with Leo and Kate several times though), but I’m not sure how suitable it is to essentially poke fun at a tragedy. Or maybe I’m too sensitive. What do you think – tasteful or tasteless?